No matter how successful I am in life, if my children do not walk with God, I will feel like I failed in the most important role I’ve ever been given…the role of a mother. I realize that our job is to raise them in the nurture and admonition of the Lord; that we are to live out loud for Jesus in front of them and that we are to equip them in the Word. I also realize they are responsible to God for the choices they make once they become adults. But just because the clock of life ticks past the magic age of 18 and our children become adults, we never stop being their mothers…and so we never stop praying. Whether your little bundle of joy still resides in your womb or lives in his or her own home, you are still a mom… and we all know – there ain’t no love like a momma’s love! That means, no one will pray for your kids like you will! No one will love your kids like you will! No one will bombard heaven for your kids like you will! 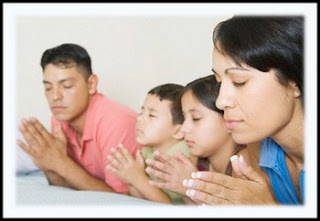 And while we do a lot of things for our children, there is nothing greater work than the that of prayer; there is no greater way to spend your time as a mother than on your knees in intercession for your kids. But as you pray, be specific. Cover them well in prayer. Seek God’s face for their future. Pray protection over them. Ask God to guard their hearts. Ask God to rebuke the enemy and to shield your children from every fiery dart he tries to send their way. There’s so much to pray for. So many needs our children have. But the greatest and most important prayer we can pray is for the salvation of their souls. There are a host of other verses you can pray for your children…but hopefully, these will get you started. Go back over those precious verses, sweet friend. Look at how many times it talks about the will of God. When we pray God’s Word back to Him in accordance to His will, we know He hears us – we know He is working behind the scenes of our children’s lives to bring about their salvation. Hold on to heaven with all you’ve got and bombard the throne of God for the salvation of your children. Whether they’re a newborn babe or an adult, you’re still their mom and no one is going to pray for them like you are! Absolutely no one! If your child is saved, you are surely blessed! You have the joy of watching your children walk in the truth. Pray for those who don’t have that same joy. Pray for their children. Join them in prayer as one mother praying on behalf of another! Join hands and hearts for the salvation of the next generation and let’s see what God will do when we do our greatest work…on our knees! Are you praying for your child? Are you praying for someone else’s child? Would you like to add some verses for mothers to cling to and claim as they pray for their children’s salvation? If you’d like to list your child’s name in the comment section, I’d be honored to pray for them. No one will ever pray for your children like you. But no one will ever understand the prayer of a mother’s heart like another mother! Let’s pray for our children – let’s keep knocking until the door opens – let’s keep trusting God to part the Red Sea of their lives and my He give us the privilege of seeing the salvation of the Lord in their lives! ~Please visit Stephanie’s wonderful site.